Even though Google has its own wonderful application store in Android, Amazon's Appstore has also managed to get itself installed on a pretty respectful number of Android-powered devices. In fact, some would even prefer it to Google's original offering due to the curated nature of the catalog and special treats like Free App of the Day. However, users who have been lucky enough to get their hands on an Android 4.2-powered device have started experiencing a strange problem with Amazon's Appstore, which caused their accounts to get logged off, forcing them to log-in again. Besides being quite irritating, this bug also caused the app to count each log-in as a new device being assigned to the user's Amazon account, which could make it dangerously easy to reach the maximum number of assigned devices allowed. Thankfully, Amazon has now updated its application, getting rid of this issue and also fixing several others along the way, including a battery drain bug. It has also added the option to remove apps from the My Apps screen by executing a long press on the desired entry, along with some slight UI enhancements. 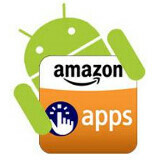 You can download the latest version of the Amazon Appstore for Android here. They need to put prime instant videos on it.